Hey all! 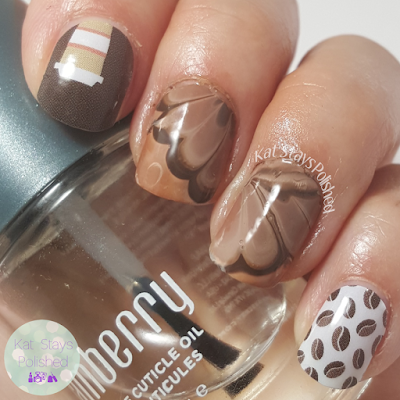 Time for another weekly manicure - my Wednesday Jam! 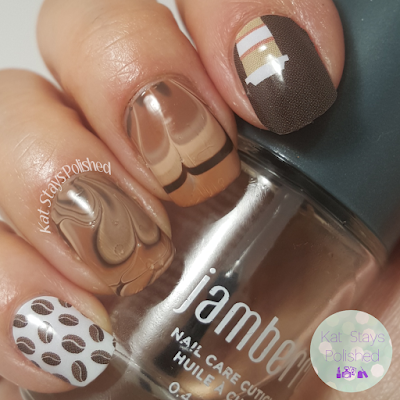 Today I have for you a coffee-themed manicure using the newly released Latte Love Jamberry wraps. As soon as I saw these, I knew I had to have them. Since I'm trying to do more nail art as well, Tabitha suggested I do a water marble like those fancy lattes. I was intimidated but I did it! This set of wraps includes 2 designs. One with a coffee cup and the other with coffee beans. Each size is cut in each design so you have a good variety, especially if you'll be using them as accents like I do. 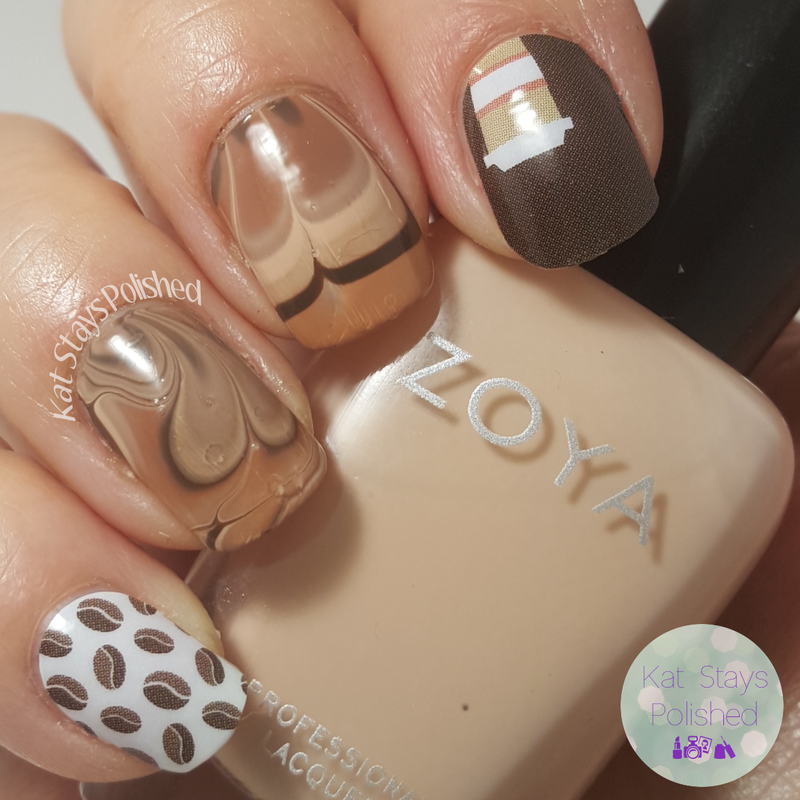 So for the water marble, I used all Zoya shades. From lightest to darkest, I used: Chantal, Spencer, Chanelle, and Emilia. They matched perfectly with these wraps and I'd say my marble was pretty good for not having done one in a couple of years! Since I had different marble designs on my left hand, I wanted to show you that too. It's been so long since I've photographed this hand - it felt so awkward, lol! I know that I've been posting a lot of these wraps so I wanted to let you know, yes you, reader, if you ever have any questions about these or want to try them, let me know. Send me an email, comment on this post, or seek out my social media. I'm really happy I gave them another chance. Look at all the designs I've been able to match already! 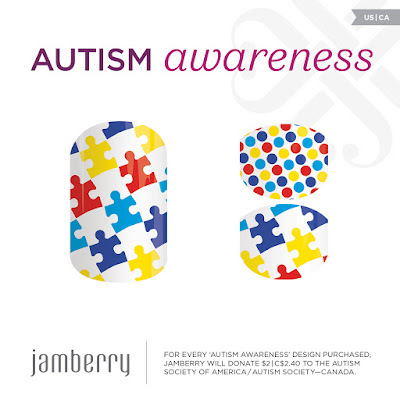 I do also want to throw out there - April is Autism Awareness Month and Jamberry releases new wraps every year to support this cause. Pieces of Love are available now and all year long and $2 from each sheet sold will be donated to the Autism Society of America. Mine will be coming soon so I'll post it one week in April! 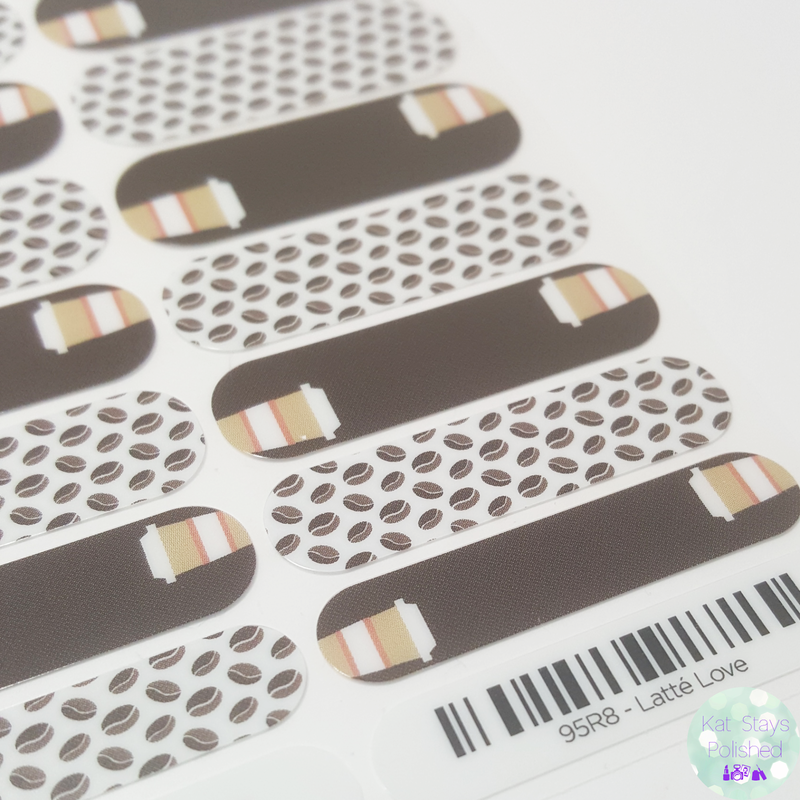 If you're interested in this design or anything Jamberry, follow links below. I'll be happy to answer any questions you might have! Have a great rest of the week! Those latte cups are so cute! I'm liking these nail designs. I wouldn't think that a brown and tan color story would be very interesting but I'm liking it a lot. You did a great job. I love your water marbling. 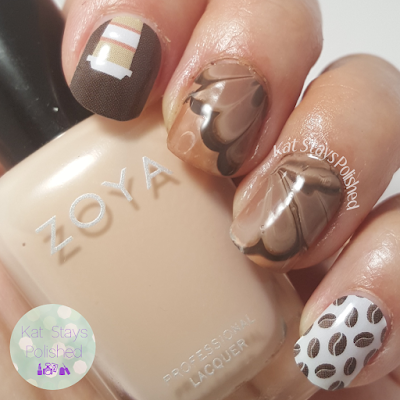 This is such a cute mani! Great job with the water marble! Your mani looks beautiful! I haven't done water marbling for ages, but I think I should try it again. Girl, I can't marble to save my life. You're a champ!